Minnesota Home Talk is your resource to the Twin Cities real estate market. We will be talking about topics that are relevant to our listeners, even if you are not currently in the market to buy or sell your home. Minnesota Home Talk will cover a variety of related topics that will prove educational, informative, and entertaining. As a mortgage consultant, my number one priority is simple: to put my clients in the best position to be successful. Whether the goal is short term or long term investing or if you are a first time home buyer, I strive to educate each client so they can make the decision that is going to be the best for them. Bella Remodeling & Roofing is your one stop shop for all your insurance restoration to home remodeling needs. We are a top to bottom contractor from the outside of your house to the inside. No project is too small or too big for us. Many companies today specialize in only roofing, siding and windows , or basic interior remodel work. Why hire several contractors to complete the job when we can accomplish everything for you? We are customer service based with a strong internal culture of integrity and honesty. Top quality workmanship is not an option, it is the only way we complete projects. If you are in a financially challenged situation or want to insure that you never are; Todd has the answers and the information you are looking for! Is your portfolio doing the best it can? Take our FREE, no obligation Investment Stress Test™. Joshua Englund will contact you in the next 48 hours to guide you through our process. He looks forward to the opportunity of working together and appreciates your interest. Credit and Financial Wellness play an important role in our life every day and especially at life’s most significant moments. Many people with less than perfect credit never know that their credit could be even better by incorporating a few simple Financial Wellness Practices, but for others, their credit has been so significantly impacted by a variety of life events, or general neglect, that the need for help is ringing clear. Enter Credilife® … A Financial Wellness Company! Trademark Title Services Inc. is a full service, multi-office title insurance company offering a comprehensive line of quality title and closing services. As a leader in the real estate community, Trademark Title Services Inc. is uniquely positioned to offer our customers the highest quality and most complete title services available in the market today. Renters Warehouse Minneapolis / St. Paul is the premier leasing and property management company in Minnesota, specializing in real estate in the Twin Cities. Lead by CEO Kevin Ortner, Renters Warehouse Minneapolis / St. Paul’s team of local, licensed and specialized Professional Landlords (or the best property managers in town!) is perfectly positioned to help everyday homeowners and investors lease their home or property with total confidence. A thick, green lawn inspires bare feet. It conveys the appeal of a Minnesota summer. Manicured turf complements landscaping and enhances the overall look of the property. Urban Landworks is dedicated to all of your outdoor needs. Our maintenance division is focused on weekly yard services, aeration, fertilization, landscape management, and spring and fall clean up. Urban Landworks manages both commercial and residential properties around the metro area. We are motivated by a strong work ethic and dedication to our services. Homes Inspection Services. We deliver a same day report, usually 18-22 pages, including digital photos of key areas. The report contains inspection notes about maintenance and other pertinent information regarding the home. Spare Key provides assistance to Minnesota homeowners with critically ill or seriously injured children by making a mortgage payment on the family’s behalf, allowing parents to spend time with their child. Brian DeMartino and the staff of Clear Choice Insurance Agency have over 31 years of experience in the insurance industry. The agency was started as part of the Farmers Insurance Group in 2001. In 2009 we reorganized to operate as a broker in order to gain access to multiple markets and insurance companies. The ability to quote policies with multiple companies gives us a distinct advantage over the “captive” agencies that are limited to the one product they’re company offers. To the client this means the best coverage at the best price. We also pride ourselves on service after the sale. Overall service in the insurance industry has declined dramatically in recent years to the point that we get multiple phone calls each week from people saying they cannot get their agent to call them back. We’re out to prove that this is not the way all agencies operate. Our goal is to provide insurance coverage to our clients for life and that can only be accomplished through service. HMS National, a leading provider of home warranties for home sellers and buyers, has been working for millions of homeowners and tens-of-thousands of real estate professionals for over 30 years to make the process of buying, owning and selling real estate safer—and more enjoyable, efficient and profitable. As a pioneer and innovator in the home warranty industry, HMS National has consistently been a valuable resource for real estate professionals by providing the HMS Home Warranty, a wide range of professional support tools, marketing training and products, and leading errors and omissions insurance. Headquartered in Fort Lauderdale, HMS National is a member of the Cross Country Group. EKJ Appraisals is a leading provider of real estate valuations for the mortgage lending marketplace. 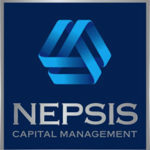 With many years of experience in the business, I have a proven track record of reducing lenders time, efforts and costs in managing the appraising process. Melissa Evans designer and owner of Trend Staging specializes in Home Decorating and Staging in the Twin Cities. Staging a home helps potential buyers visualize themselves living in the property. By staging we bring new life to your home, from freshening up a room with a new color of paint, to rearranging furniture, or full home staging of vacant properties. Marcus Walgrave grew up outside of Luverne, Minnesota on a small farm owned by his parents Mark and Pam. He learned what hard work truly was side by side with his three older brothers Jason, Derek and Brad. His parents also own an excavating business that they started in their early twenties, Walgrave Excavating. Owning, operating, public relations and marketing have been engrained into Marcus’ DNA from a young age. His parents showed him that faith, family and hard work also prevails. Jeff practices in the areas of business formations, business transactions, real estate law, estate planning and probate law. His clients represent a diverse array of businesses and business owners including real estate agents, developers and investors, title companies, community banks, film producers, restaurant operators, manufacturing companies, and franchised businesses. He has significant experience with the formation of new businesses. 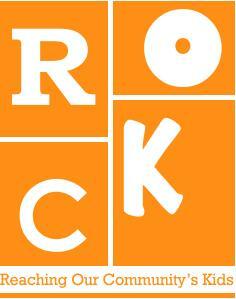 We are excited to announce the launch of ‘Reaching Our Community’s Kids’ (R.O.C.K.) a 501 (c) (3) non-profit organization formed to help meet the basic needs of our kids. 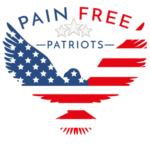 Pain Free Patriots provides medical grants for effective treatment to help relieve chronic pain for military Veterans. Our goal is to help Veterans return to their daily lives as quickly and healthy as possible, using the latest technologies and best practices. Welcome to TRUST VETS, a national network of American Military Veteran business professionals and entrepreneurs. Our Online Directory of Veterans at TrustVets.com makes it simple to seek out and do business with verified Veterans in our communities. Good Stuff Moving is a local moving company owned and operated by Brent Stone and Paul Harvieux. Started 15 years ago with one 20 foot truck and a stack of moving blankets. The fleet now consist of 17 fully outfitted moving trucks and 40 guys. The primary business is local relocations of houses, apartments, condos and businesses. Good Stuff Moving has its authority to transport household goods across stateliness also. Our warehouse is full of free boxes for our customers. Available for pick up on Friday’s and Monday’s from 7:00 to 5:00. There is a $2.00 deposit per box. Bring back to the warehouse on a Friday or Monday for a full refund. Please remember that Spring, Summer and Fall is our season so please schedule your free onsite estimate early if possible. At Riverland, we specialize in building community wherever our clients are. By bringing a personal touch to banking, we focus on the relationships behind the finances. It is our mission to provide first choice banking on a first name basis. As a trusted partner, understanding your business goals inside and out enables us to provide counsel and well-designed solutions for your unique needs. TPM Flooring is a trusted name in the flooring business. We are a family-owned company built on Christian values. Friendly customer service, good pricing, and attention to detail are foundational to our business. Our private showroom offers a diverse selection of quality flooring products. We supply and install solid wood, engineered wood, laminate, luxury vinyl tile, sheet vinyl, ceramic/porcelain tile, and all types of carpet. specializing in Awards, Apparel & Promotional Products. Brent Widman, MBA is a certified Top Producer Consultant Sales and Leadership Coach. He specializes in teaching ethical sales techniques and strategies that individuals and teams can use to immediately grow their sales. Looking for a commercial or residential concrete contractor? JR Contracting is the best Concrete Contractor in the Minneapolis area, offering clients professional, reliable and safe contracting services. Whether you need someone to fix, remodel, or repair your space, we can do it at an affordable price. Call us today and give your space the transformation it needs. We custom design the SafeBasements™ Waterproofing System to meet your specific needs. Once the system is installed, it takes care of itself, with the occasional check to make sure the sump pump is operational.